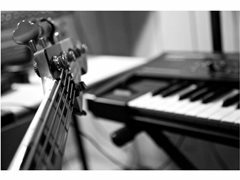 Keyboard/Piano player wanted for simple Keyboard/Piano and Bass duo project to work on evocative instrumental standards for Piano and comping/melodic bass aiming to play in restaurants and sophisticated venues for paid work. Please do not apply if you cannot handle jazz standards or Keyboard/Piano is not your main instrument. General knowledge of Jazz Real Book.